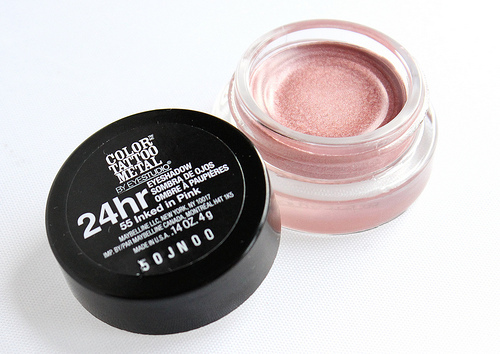 It's no secret that I am a major fan of Maybelline's Color Tattoo eyeshadows. I just love how these creamy gel shadows have the ability to last all day on my oily lids. 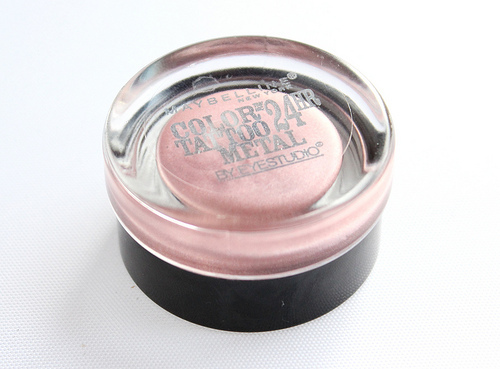 Maybelline's Inked in Pink Color Tattoo Eyeshadow is part of their metal collection, which is comprised of gorgeous shimmery metallics. Out of the five shades available in the collection, Inked in Pink was the one that stood out to me most. I just couldn't pass it up. Inked in Pink is a gorgeous soft pink that contains a dazzling dose of shimmer. I love shimmered shadows, especially in the summer. Something about shimmer and radiant sun-kissed skin just works for me. Inked in Pink is surprisingly a very wearable color. While pigmented, it's definitely on the understated side, and the shimmers don't look overbearing on the lids in the slightest. The creamy gel formula is an absolute dream to work with. It's smooth consistency makes application effortless. Love that! One can use a flat shader brush to apply the color tattoo shadows, but personally, I like to apply them with my finger. Not only do I feel I get the best results that way, but the warmth of my finger makes spreading and blending the shadow so much easier. I noticed that I don't have to worry about over-blending with this. The color stays true and it's easily buildable. Lasting power doesn't disappoint-not really surprising, at least for me. Applied atop an eyeshadow primer Inked in Pink pretty much hangs on all day on my oil-prone lids, with very minimal fading. Overall: For those who tend to shy away from color when it comes to eyeshadows, I think Maybelline's Inked in Pink Color Tattoo is a great shade to sport on the lids. It gives off just the right color pop that looks delicate, and not overpowering. Ever since I added Inked in Pink to my color tattoo arsenal, it quickly became a new favorite that I reach for constantly. This shadow is definitely on the road to becoming one of my summertime staples. 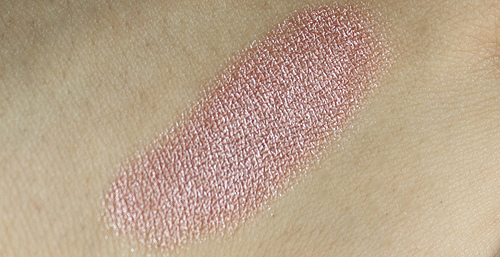 What do you all think of Maybelline's Color tattoo in Inked in Pink? Nice post! I've wanted to try this for a while, but I was worried it would be too red. Now I know I just have to have it! Thanks for sharing!